IMF said that the emerging market and developing economies have experienced "powerful crosswinds" in recent months, courtesy factors like higher yields in the United States, dollar appreciation, escalating trade tensions, geopolitical conflict, and rising oil prices. Just three months back, the International Monetary Fund (IMF) had been pretty upbeat about the state of the global economy. In its April World Economic Outlook (WEO), the IMF had predicted that it will accelerate to 3.9 per cent in the current year and next, the fastest since 2011. Moreover, it had noted that "Growth this broad-based and strong has not been seen since the world's initial sharp 2010 bounce back from the financial crisis of 2008-09." Unfortunately, its latest WEO is a lot less optimistic. While the IMF has maintained its global growth projections, it has cautioned that the risks to the outlook are "mounting" and the expansion is becoming less even. "As the global cyclical upswing approaches its two-year mark, the pace of expansion in some economies appears to have peaked and growth has become less synchronized across countries," said the report. In fact, the IMF has revised down its projections for advanced economies like the euro area, Japan, and the United Kingdom as well as India, Argentina and Brazil. It added that emerging market and developing economies have experienced "powerful crosswinds" in recent months, courtesy factors like higher yields in the United States, dollar appreciation, escalating trade tensions, geopolitical conflict, and rising oil prices. The latter, incidentally, is up 16 per cent between February 2018 - the reference period for the April 2018 WEO - and early June 2018. Although India is still expected to be the fastest growing major economy in 2018 and 2019, and a key driver of global growth, the IMF predicts slight deceleration in the economy. "India's growth rate is expected to rise from 6.7 percent in 2017 to 7.3 percent in 2018 and 7.5 percent in 2019, as drags from the currency exchange initiative and the introduction of the goods and services tax fade. However, the projection is 0.1 and 0.3 percentage point lower for 2018 and 2019, respectively, than in the April WEO, reflecting negative effects of higher oil prices on domestic demand and faster-than-anticipated monetary policy tightening due to higher expected inflation," said the report. Government data released yesterday reveal that inflation based on wholesale prices shot up to 5.77 per cent in June on the back of increasing prices of vegetables and fuel items. In comparison, the Wholesale Price Index (WPI) based inflation had stood at 4.43 per cent in May and 0.90 per cent in June 2017. Meanwhile, the price of Indian basket of crude surged from $66 a barrel in April to around $74 currently. 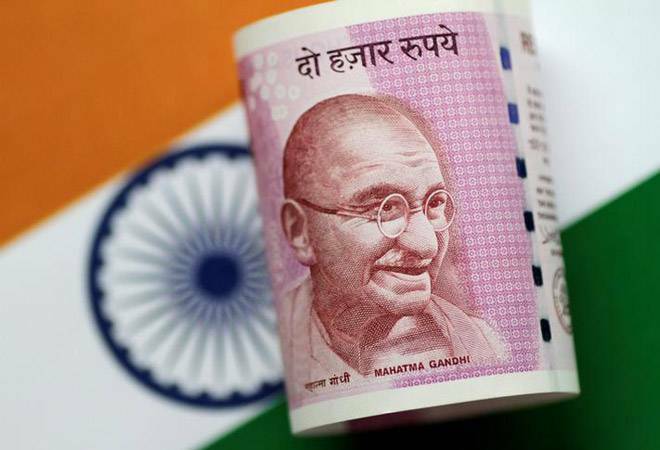 Recognising these risks, the Reserve Bank of India last month hiked interest rate by 0.25 per cent - the first hike in more than four years - in its second monetary policy review for the fiscal. But, despite this downgrade, India continues to outperform China. According to the IMF, growth in China is projected to moderate from 6.9 per cent in 2017 to 6.6 per cent in 2018 and 6.4 per cent in 2019, as regulatory tightening of the financial sector takes hold and external demand softens. Overall, the WEO sees Emerging and Developing Asia maintaining its "robust performance", posting a growth rate of 6.5 per cent in 2018-19. "Growth in the ASEAN-5 group of economies is expected to stabilize at around 5.3 per cent as domestic demand remains healthy and exports continue to recover," said the report, adding that "In the United States, near-term momentum in the economy is expected to strengthen temporarily in line with the April WEO forecast, with growth projected at 2.9 per cent in 2018 and 2.7 per cent in 2019." Significantly, while the baseline forecast for global growth is roughly unchanged, the IMF warns that the growth has plateaued and the risks in the near term have increased. "But the risk that current trade tensions escalate further - with adverse effects on confidence, asset prices, and investment - is the greatest near-term threat to global growth," IMF Chief Economist Maurice Obstfeld said in a statement, adding that global current account imbalances are set to widen "owing to the United States' relatively high demand growth, possibly exacerbating frictions." The latest WEO report comes as US President Donald Trump reportedly considers upping the tariff war. He has already imposed steep tariffs duties on $34 billion worth of imports from China, with another $200 billion reportedly coming as soon as September, on top of duties on steel and aluminium from around the world, including key allies. China has matched US tariffs dollar for dollar and threatened to take other steps to retaliate. In addition, US exports face retaliatory taxes from Canada, Mexico, Japan and the European Union. "Our modeling suggests that if current trade policy threats are realized and business confidence falls as a result, global output could be about 0.5 percent below current projections by 2020," added Obstfeld. The report further pointed out that "Beyond its immediate toll on market sentiment, the proliferation of trade measures could increase the uncertainty about the potential breadth of trade actions, thus hindering investment, while higher trade barriers would make tradable goods less affordable, disrupt global supply chains, and slow the spread of new technologies, thus lowering productivity." Against this backdrop, the IMF notes that there is an even greater urgency to advance policies and reforms that "extend the current expansion and strengthen resilience to reduce the possibility of a disruptive unwinding". It added that "without comprehensive measures to raise potential output and ensure the benefits are shared by all, disenchantment with existing economic arrangements could well fuel further support for growth-detracting inward-looking policies". The solution, according to the IMF, lies in multilateral cooperation. That will play a vital role in preserving global expansion and strengthening medium-term prospects. The IMF's specific recommendations for emerging market and developing economies like India include reining in excess credit growth where needed, supporting healthy bank balance sheets and maintaining orderly market conditions in the face of increased volatility. There is a need to "enhance resilience" through a mix of fiscal, monetary, exchange rate, and prudential policies to reduce vulnerability to tightening global financial conditions, sharp currency movements, and capital flow reversals. "To raise potential growth and enhance its inclusiveness, structural reforms remain essential to alleviate infrastructure bottlenecks, strengthen the business environment, upgrade human capital, and ensure access to opportunities for all segments of society," it added.